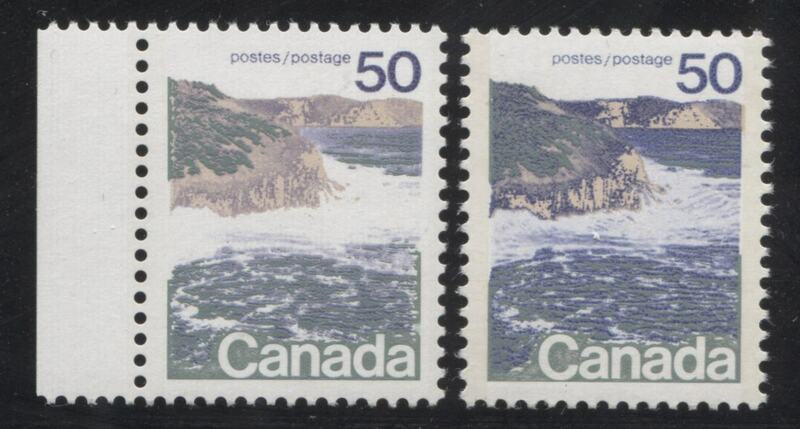 Most collectors who are relatively experienced with Canadian philately are aware that the 10c Forests, 15c Mountain Sheep, 25c Polar Bears and 50c Seashore exist printed in two types for the first perforation, being 12.5 x 12, and just the second type for the later perf. 13.3. 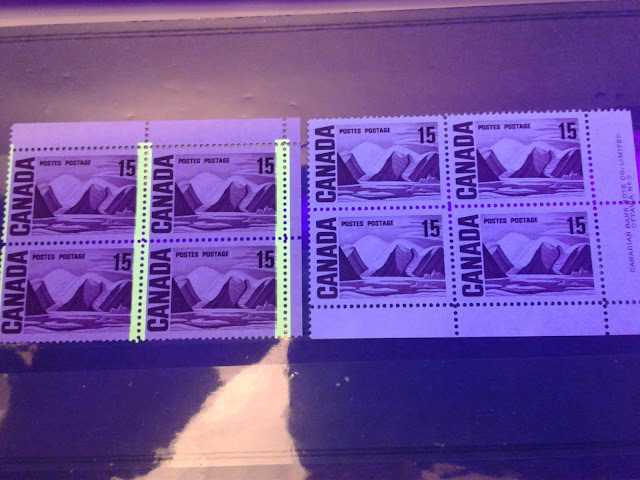 However, what collectors may not be fully aware of is that there is also evidence to suggest that different screens displaying different levels of coarseness were used to print these stamps as well. I illustrate several examples for each value that show that generally, the photogravure printing started off coarse, with very clearly identifiable screening dots, and then later becomes very fine, with the inking appearing to be more or less solid. None of these differences are mentioned anywhere in the specialized literature, yet it appears that the differences are attributable to specific printings, and so they may have more significance. In describing the types, I take the approach of identifying which colours were used in printing, whether they were printed by photogravure or engraved, and what order they were printed in. In discussing the constant varieties I describe several varieties that are not listed in Unitrade, that may or may not be constant. I am appealing to my readers to help me fill in the gaps in my knowledge of these varieties out. There is a very interesting example of the $1 Vancouver from one of the last printings that shows near doubling of the dollar sign - a variety I had never laid eyes on until just last year sometime, when it was offered to me for sale.